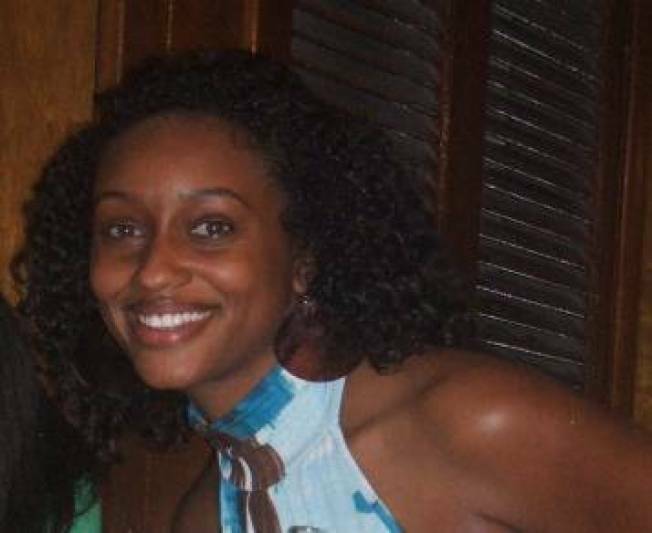 The mother of Mitrice Richardson, whose remains were found in remote area of Malibu Canyon after she went missing for several months, has asked officials to exhume her daughter’s body for further testing. Latice Sutton believes her daughter may have been a victim of foul play. Sutton made the announcement Monday at a news conference in South Los Angeles, along with forensic anthropologist Clea Koff, from the non-profit group Missing Person’s Identification Resource Center. Koff, who is working with Richardson’s family, alleges the Los Angeles County Sheriff’s Department removed the remains improperly and quote “may have compromised” the investigation into her death. "There’s a question. Was the original scene disturbed by others? The response that was taped by the investigator who filled out this form is yes. What did that mean for the coroner’s office? It meant they did not have a single description of the scene. They had no description of the area and therefore they had no understanding of the body in relationship to the place. They only had the body which was brought to them even though they were on stand by to go collect the remains," said Koff at Monday’s press conference. The Sheriff’s department publicly admitted that it had moved the 24-year-old’s remains before receiving permission in an effort to prevent wild animals from destroying the evidence. The forensic anthropologist also asserted the Los Angeles Coroner’s office did not do a thorough examination of the remains. Koff recommended that the coroner compare Richardson’s hair with hair found near her remains. Richardson’s body was found naked in August, her unzipped jeans and bra were found several hundred feet away. The forensic expert contends the clothes were never sent to a crime lab for testing and that the FBI should conduct a test. Additionally, the anthropologist claims officials did not pick up all of Richardson’s remains, "when Mitrice’s body was picked up…they did not pick up all her body." In fact, Richardson’s family found a finger bone in early November during a memorial service at the site where the remains were found, said Koff. Sheriff Lee Baca has agreed to meet with Sutton on December 29. The sheriff’s department has to request the FBI’s involvement. Richardson, who was arrested by deputies for not paying her dinner bill, was last seen alive in September 2009 when she was released from the Lost Hills/Malibu Sheriff’s station in the early morning hours.